The 10th edition of International Defence Exhibition and Seminar (IDEAS) 2018 kicked off in Karachi on Tuesday, November 27th. Reportedly, 50 countries participated in the expo and around 522 exhibitor stalls were set up to showcase defence equipment. Given the diminishing global image and depleting standing of Pakistan, it was undoubtedly an honour for our country to host such an astounding international event which surely elevated the country’s stature in the world. Notwithstanding the success of the event itself, IDEAS inflicted an immense magnitude of discomfort to the public due to its ill-fitted location in the city, coupled with the poor management. It created chaos on the roads due to terrible traffic jams and caused distress to local visitors because of poor administration. 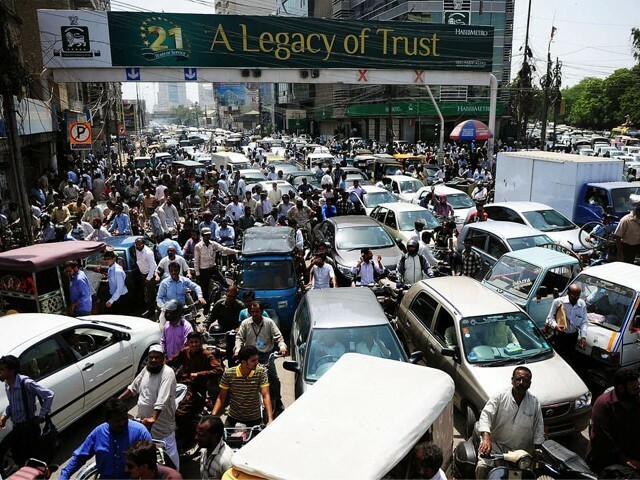 As per the data provided by the Sindh excise and taxation department in 2014, there were more than 3.5 million vehicles on the road each day and a meagre force of 3,200 wardens to manage the traffic and it has only gotten worse; Karachi’s roads are literally flooded with vehicles. If one vehicle malfunctions on Shahrae Faisal for even five minutes, it usually causes disruption and delay for at least an hour. Under such an alarming situation prevailing in the metropolis, the administration of IDEAS blissfully blocked many major roads surrounding the Expo Centre locality, taking absolutely no pity on the local populace. They closed the entrance to Karsaz flyover from Shahrae Faisal, blocked the Hassan Square flyover, closed off the path from Stadium road to Civic Centre, ceased access from Liaquatabad to Civic Centre and instead diverted the traffic to University Road and blocked the route from there to the stadium as well. Moreover, the entrance to Karsaz road from Shahrae Faisal was subject to checking which created long queues of vehicles. Dalmia Road was the only open route which resultantly was overflowing with bumper-to-bumper traffic. Due to the disorderly situation, one is obliged to question the improper planning. Did the planners lack management skills or did they simply overlook people’s suffering? If impenetrable security was required for this event, why in the world was it organised in the heart of the city? There were many other alternate locations that could have provided impregnable security, such as the vast confines of the most secured garrisons or the many vacant plots of DHA. It is unfathomable why the management was stingily adamant on conducting it at the Expo Centre, that too at the cost of public peace. Aside from causing chaos and congestion on the roads, the IDEAS administration was wreaking a great deal of torment on the local visitors due to poor planning and miscommunication within the employed staff. In spite of developing a dedicated website, nothing of significant importance was posted to facilitate the visitors. The website made no mention of the dedicated parking areas, different-coloured stickers, entrance policy for children and the specified days to visit the Expo. To better understand the predicament, let me paint you a little picture of the scene. A man decided to attend the expo with his family. When he reached gate number one, he was directed to gate number two for parking. On arriving at gate number two, he was told he cannot park his vehicle inside the centre as he didn’t possess the red sticker. He was then directed to the Stadium parking from entrance number one. Unfortunately, he wasn’t allowed to park there either due to the missing blue sticker and thus the hapless visitor was asked to go to Stadium entrance number two. Upon reaching there, he was denied entrance since he did not have a green sticker. Confused and bewildered, the man asked for guidance to park his car and was advised to go to the China Parking behind National Coaching Centre (NCC). Thankfully, he found a parking space for his car and asked for the shuttle pickup point and was told that he would have to walk with his entire family, including the children to NCC. After a five-minute walk, they reached NCC and were asked to show passes of the entire family, including the kids. Before mounting the shuttle, he was required to show these passes again. Him and his family proceeded to the venue in the shuttle, however, upon reaching the entrance of the Expo, he was told by the checking staff to dismount his kids at the gate as they weren’t allowed to enter as per the policy. He enquired about this policy since nothing of this sort was mentioned on the website or the passes. He questioned why the passes were issued for the kids in the first place if they weren’t allowed inside, and if those passes were for specific dates only, why wasn’t it mentioned on them. Sadly, his questions fell to deaf ears and he was forced to step out of the bus along with his family. The unfortunate visitor walked all the way from the Expo Centre to NCC along with his kids and then went home after wasting almost one and a half hour. Is this how international events are organised? Why hadn’t the management displayed unambiguous instructions on its website with regards to the parking places and the privileged stickers? Why hadn’t it laid out clear and concise rules for children’s entrance? Why were they issuing passes to the kids with validity dates from 27th to 30th when they were actually not allowed to attend the Expo before the 30th? Why was the staff deployed at the entrance confused and miscommunicated? If vehicles without stickers were not allowed to park, why didn’t the staff inform this right at the outset? If children were not allowed, why weren’t they stopped at the first gate? It seemed as if the management was only interested in the comfort of the international delegates and was least bothered about its local brethren. 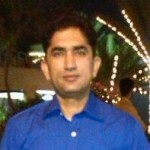 Is a secular Pakistan the answer to our problems? I live hardly 2 minutes away from Expo Karachi. My children go to school daily and my routine to office is as per rush office timings. Ideas 2018 was very different from all previous events. tes at the helm of affairs will never shed off their feudalistic protocol and continue to inflict pain and suffering on the common man. Very well said by the writer. This is exactly what’s happening in Pakistan, pain and suffering on the common man. No one cares for the public.